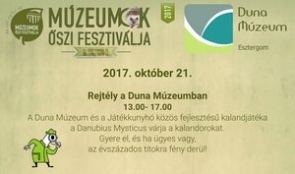 Autumn Festival of Museums Adventurers are invited! 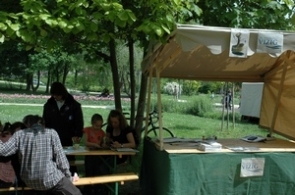 Come and join in the adventure games organized by Danube Museum and the Game Cottage. Do unidentified culprits walk in the dark rooms of the museum at night? No one has seen anything, no trace was left. Their intent is unknown at this time, but it is absolutely certain that an artifact will disappear. The Spring Festival of Museums was organised for the 22nd time on 20-21 May 2017 by the Hungarian National Museum. This unique cultural festival attracts almost 40 000 visitors annually and provides an opportunity for more than 120 Hungarian museums to present their collections. The team of Danube Museum joined in the event as well. 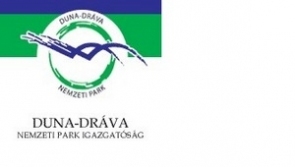 The employees of Duna-Dráva National Park Directorate are waiting for the visitors with guided tours, children programmes and presentations in 2017. In this year the National nuclear accident prevention practise is held 15-16th November 2016, on which according to the events of the scenario besides the National Technical Directive Board (OMIT) the 5 concerned water management directorates take part as well. Rolling Development Plan at Tettye Forrásház Ltd. The Hungarian Hydrological Society’s Regional Organisation of County Baranya and TETTYE FORRÁSHÁZ Ltd. will hold a joint Professional Day titled "Rolling Development Plan at Tettye Forrásház Ltd." Wednesday 5 October 2016, 10 am. venue: TETTYE FORRÁSHÁZ Ltd. 7634 Pécs, Nyugati Ipari út. A photo exhibition opens in the Natural History Museum of 'JPM' (Venue: 2, Szabdság utca, Pécs) at 4.30 pm on 17th March 2017 presenting the artworks of photographer Mr Béla Kiefer, titled 'A drop of nature'. The display closely relates to the World Water Day. where the detailed agenda of the event is presented to the representatives of the press and the Memorial Exhibition compiled by the affected settlements is opened. The National Flood Protection and River Management Conference is currently taking place in Mórahalom from 8th March to 10th March 2016 where in addition to the most important current issues of the water sector, the results and experiences of the previous year get discussed on as well. 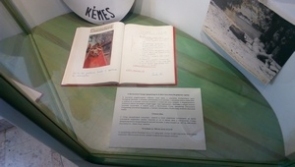 This year in the The Danube Museum of Esztergom can be seen every months different water directorate’s exhibition objects in the Month’s Artwork display case, allowing visitors to learn about the history of water territorial heritage. In September the remembrances of the South-Transdanubian Water Management Directorate were visited the museum. By walking along the study trail on the Dráva’s wildlife with professional tour guides, visitors are offered an insight into the unique fauna and flora of the Dráva and its floodplain: from the colourful and varied wildlife of the forests through the swamps to the riverbanks. The visitors have a chance to acquire a wide range of information about the Dráva’s former and present hydrographical status. If demand arises, there is a possibility for a classic Hungarian barbecue from ingredients brought near Kisinci. Hungary’s Catchment Management Plan No. 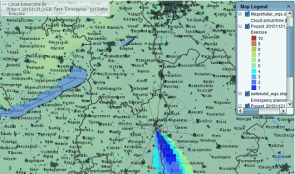 2 is currently being prepared in the ‘KEOP’ Project titled “Elaboration of the ‘Jenő Kvassay’ Plan and the review of the Catchment Management Plan” (ID No. KEOP-7.9.0/12-2013-0007). The Ancient Drava Visitor Centre offers kayak and canoe programmes as well for the visitors from July 2015. The Centre provides trips that differ in difficulty and length, so anyone can find the appropriate and best option. The Visitor Centre gladly welcomes all nature-lovers. 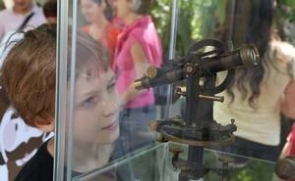 The ‘Eötvös József’ College organizes FREE summer camps for SECONDARY SCHOOL STUDENTS in August 2015. The objective of the summer camp is to present the educational programmes offered by the technical college in order to help the secondary students in their choice of career. Beyond the professional programmes, various experience-based free-time activities will be offered and provided for the participants. The General Directorate of Water Management (OVF) held a technical conference on the World Day to Combat Desertification, 17th June 2015. The international focus was on “sustainable land management and food safety” this year. On behalf of the General Directorate of Water Management, I have the honour of inviting you to the opening of the memorial plaque to Jenő Kvassay. 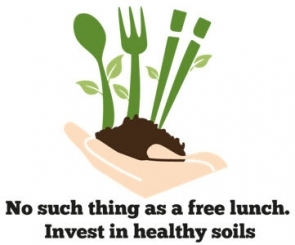 It has been a tradition to celebrate the Earth Day with various events. 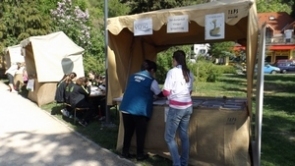 This year’s programmes will be held in Tettye in Pécs between 10.00 am and 3.00 pm on Saturday, 18th April 2015 and hosted by the Danube-Dráva National Park Directorate. If you are fond of nature and running and you have already seen a flood – then you should be on the dike on the World Water Day.Why? Highlighting the importance of the profession, our intention is to pay our respect to our dike guards, the people knowing our natural waters and water resources the best. Within the framework of the Spring Conference of the European Water Association (EWA) and under the patronage of Mr János Áder, President of the Hungarian Republic, organized by the Hungarian Water- and Sewage Technology Association (MaSzeSz) and the Budapest Waterworks (Fővárosi Vízművek Zrt.) a three-day event and professional visits take place during the ‘EWA Spring Days 2015 – Budapest Water Conference’. 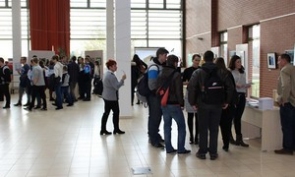 Within the organization of the General Directorate of Water Management, the 2nd Annual National Water Sector-based Public Employment Conference was held in the area of the Upper-Tisza region Water Management Directorate on 4th -6th February 2015.